Charlene the Star was born into a family of famous racehorses. Unlike her big brother, Charlie, Charlene decides she doesn’t like racing. How will she explain this to her mom? How does she show her trainers she doesn’t like racing? Will she become a model instead? Will Charlene discover her natural gift? Her career path takes many twists and turns before she finds her place to shine. You’ll love hearing about Charlene’s adventures. She may surprise you with her unusual talent. 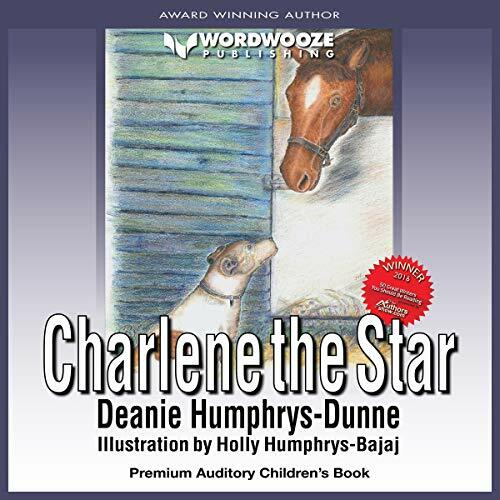 Charlene the Star is first in the series of Charlene the Star books. The others are Charlene the Star and Hattie’s Heroes and Charlene the Star and Bentley Bulldog. Like each of Ms. Humphrys-Dunne's books, Charlene the Star entertains while sharing powerful life lessons with young listeners.